"Yes, this is a story of family conflict, of sister against brother. But more than that, it opens our conversation on the sympathetic atheist narrator." 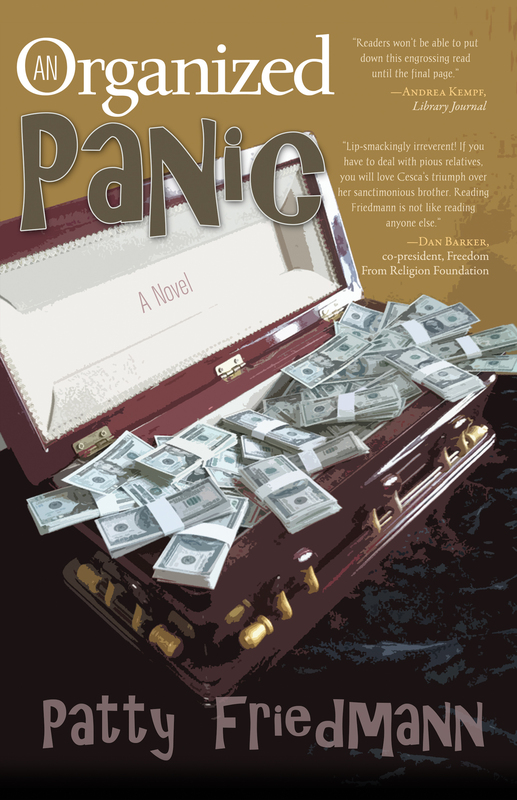 An Organized Panic sets sister against brother, born secular humanist against later-in-life evangelical Christian. The sibling squabble underscores a serious struggle, certainly, but this is another tale told in the darkly humorous Friedmann voice--and set in the New Orleans only a native would know. The manuscript took second place in the Faulkner-Wisdom competition in late 2012. Ronald Price runs a lucrative business called JesusCleanup. Ronald discovered early on that his New Orleans-based crime-scene cleaning operation made a lot more money after one man on a cleaning crew prayed over a murder site. So his teams began sanctifying scenes as they cleaned them. He has become an ordained minister, and in turn he ordains his crews. Narrator Cesca Price is baffled. She is his older sister, and they grew up in a thoroughly secular household. When other children were learning the facts of life, their mother was sitting them down to tell them in no uncertain terms that 'dead is dead.' That concept comes back to haunt her children decades later. Patty Friedmann is the author of the literary perennially bestselling e-novel titled Too Jewish [booksBnimble ]. Its sequel is Green Eyes, formerly The Exact Image of Mother [Viking Penguin 1991]. The third book in the Too Jewish trilogy released in 2015 in both print and electronic format is Do Not Open for Fifty Years [booksBnimble]. She also is the author of several other darkly comic literary novels set in New Orleans: Eleanor Rushing , e-book Through the Windshield ; Odds ; Secondhand Smoke ; Side Effects , e-book Pick-Up Line; and A Little Bit Ruined  [all hardback and paperback from Counterpoint except paper edition of Secondhand Smoke from Berkley Penguin], released in digital form through BBN; as well as the humor book Too Smart to Be Rich [New Chapter Press 1988]. Her novels have been chosen as Barnes&Noble Discover Great New Writers, Borders Original Voices, and Book Sense 76 selections, and her humor book was syndicated by the New York Times. 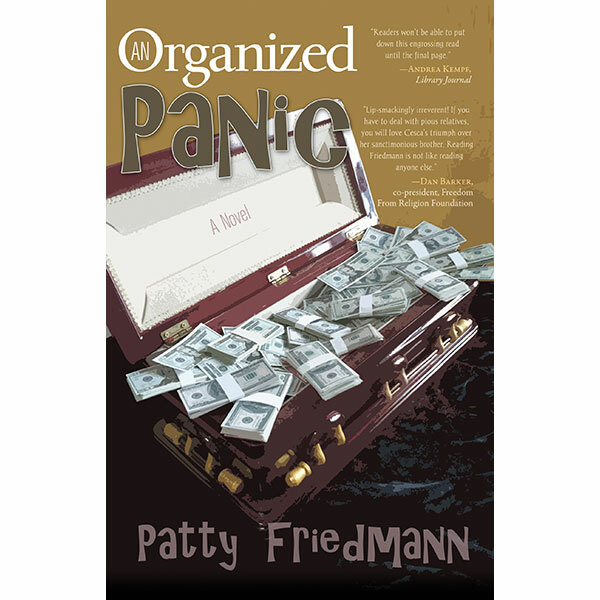 Friedmann's manuscript titled An Organized Panic took first runner-up in the Faulkner-Wisdom competition (out of 406 entries in the novel category) in late 2012. She has written a sequel titled Misdirection of Levi Tate. Her other books since Katrina are two YA novels, Taken Away and No Takebacks [TSP]. Taken Away was a finalist for ForeWord Small Press Book of the Year in 2011. Her short story collection 'Where Do They All Come From' will launch from Sartoris Literary in March 2018. She has published reviews, essays, and short stories in Publishers Weekly, Newsweek, Oxford American, Speakeasy, Horn Gallery, Short Story, LA LIT, Brightleaf, New Orleans Review, and The Times-Picayune and in anthologies The Great New American Writers Cookbook, Above Ground, Christmas Stories from Louisiana, My New Orleans, New Orleans Noir, Life in the Wake, My Funny Valentine, and Something in the Water. Her stage pieces have been part of Native Tongues. Friedmann wrote the foreword to Wendy Rodrigue's The Other Side of the Painting in 2013. In a special 2009 edition, Oxford American listed Secondhand Smoke with 29 titles that included Gone with the Wind, Deliverance, and A Lesson Before Dying as the Greatest Underrated Southern Books. With slight interruptions for education and natural disasters, she always has lived in New Orleans. "Readers won't be able to put down this engrossing read until the final page." "Lip-smackingly irreverent! If you have to deal with pious relatives, you will love Cesca's triumph over her sanctimonious brother. Reading Friedmann is not like reading anyone else." "Like a mischievous taxidermist, Friedmann uses death as a backdrop to taunt the living with her unblinking wit."